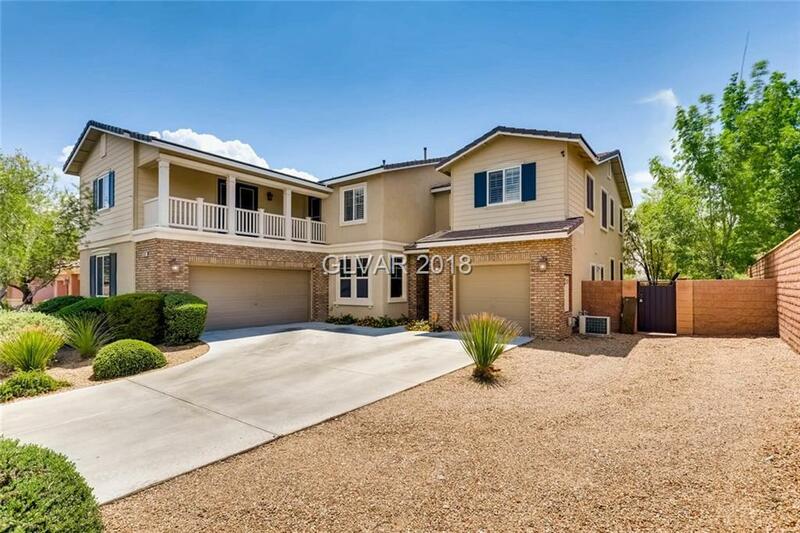 This stunning 5 bedroom, 3 car garage home boasts many upgrades and is in a Cul-de-sac! A huge living room with vaulted ceilings, giant gourmet kitchen provides stainless steel appliances, extra-large granite counter top island & custom cabinets. Recently upgraded flooring in formal dining, family & living room. Enjoy the enormous remodeled master bath that includes California closets. Plenty of space in the bonus room with attached balcony. Directions: From Blue Diamond & Buffalo, Go South On Buffalo To Mountains Edge Pkwy Make A Left To Desert Porch Make A Left Go To Desertscape Make A Left, House Is At The Very End.